First let me say I never thought I would write a blog (doesn’t everyone say that?). Consistent free time is just not something I have much of, which three boys all younger than 4. I’d like to say the free time I do have goes to something constructive like learning Russian (my husband and I teach English in Central Asia where Russian is spoken) or even making lap books for my perfectly-behaved children so they will have something to do when I need a moment’s quiet. But let’s face it. Lately I’ve been playing “Hooked on Words” on my iPad and checking email a ridiculous number of times instead. So a blog just seemed too difficult and overwhelming to even begin. But here we are. I’ve decided to start posting some of my preschool/Sunday school lesson ideas in the hope they will help someone else. As I mentioned, I live in Central Asia — where resources are not anywhere as abundant as in the U.S. So I strive to keep my ideas simple and budget-friendly. Also, I have three strong-willed sons. Wherever possible, I try to incorporate an active, hands-on approach to learning. Finally, I believe in Jesus Christ. He has personally saved, healed and delivered me. I have seen His miracles time and again in my life and I want to learn to serve Him with all of my strength. This blog will reflect what He is teaching me as I learn to walk more closely with Him and parent my children in a godly way. I have not arrived. I am still learning. But I pray that some of these things I’ve learnedwill be helpful to you as well. 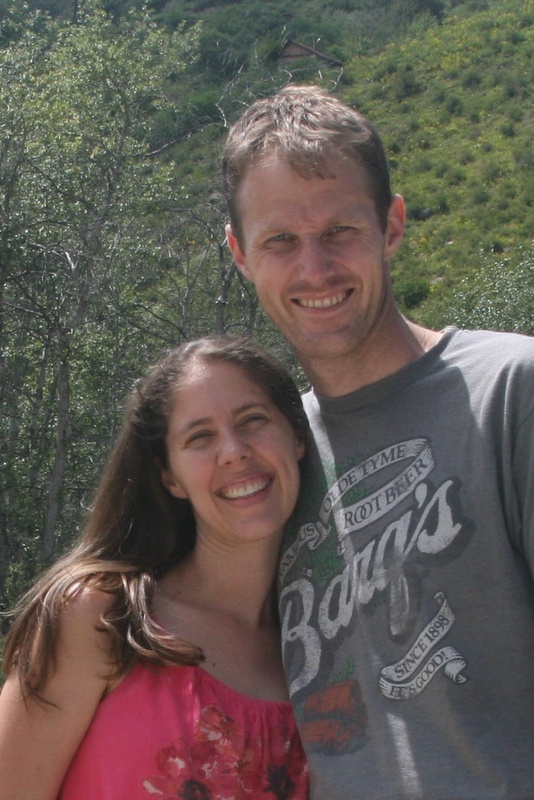 Here is my husband (who posts on this blog as marblefish) and me.